In stark contrast to recent weeks Ballymena Runners didn't stray far from home over the past seven days as their running adventures took them to such exotic locations as Kells, Broughshane and the North Coast. All roads led to Broughshane on Monday night for the 10k/5k and 1k fun run in support of the North West Mountain Rescue Team (NWMRT). Out of a total field of 486, Ballymena Runners had no fewer than 123 runners on view in addition to those who helped with the organisation, marshalled or turned up to support. 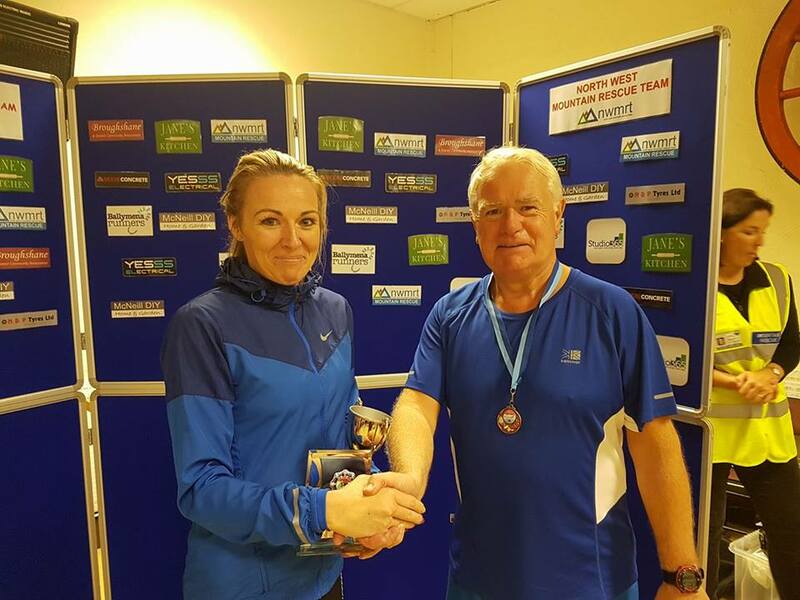 Congratulations to Paula Worthington who won the Ladies 5k while Paula McArthur, Geraldine Quigley, Linda Petticrew, Connor Reid and Noel Connor all picked up place prizes. It was also great to see so many recent graduates from the recent Cosy Sofa programme participate in the 5k. 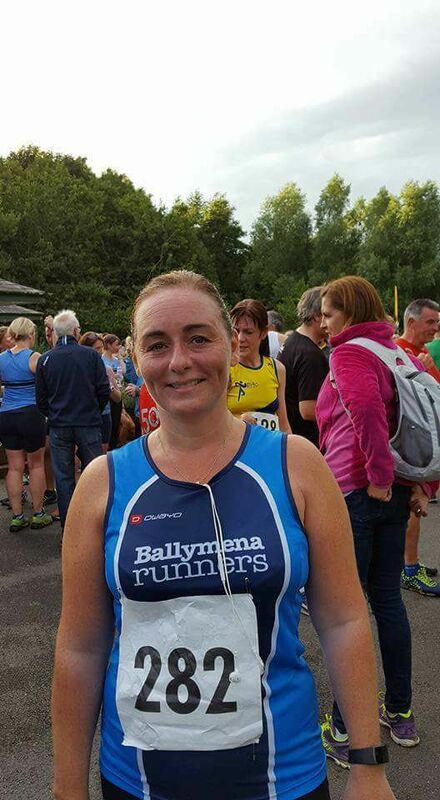 Kelly Courtney was the sole Ballymena Runners representative at the Crawfordsburn 5k Trail Race on Wednesday evening. On an undulating course - a mixture of gravel, tarmac and grass paths that weave around the scenic country park and along the coastal path - Kelly finished in an impressive 26:38. A healthy contingent from the club made the short trip to Kells on Saturday morning for the Kells & Connor Charity Running Festival programme of events. The friendly event, which is growing in popularity year on year, saw runners compete in either the Half Marathon, 5 Mile or 5k races as well as a 5 Mile Walk. In excess of 280 runners - including seven from Ballymena Runners - descended on Cookstown on Friday evening for the Stanley Reid Memorial 5 Mile Road Race which started and finished in the grounds of Loughry College. John Robinson was first from the club to finish, coming home in 8th place overall in 30:04 followed by Ryan Logan (31:44) and John Donnelly (34:29) while there were category wins for Linda Petticrew and Brigid Quinn. Congratulations to Peter Fleming who finished second in the Half Marathon at Saturday's Causeway Coast 'More Than A Marathon' Challenge. Amongst others from the club taking part in either the half or full distance were Beverly Kidd, Emma Donnelly, Colin Hoey, Jonny Graham and Ryan Armstrong.